The Galapagos Islands consists of 19 volcanic islands and is a province of Ecuador.Located almost 1000 kilometer of its coast, it is home to many unique animals seen nowhere else in the world. The islands, which have their own ecosystem are the ultimate natural zoo, where animals like the Giant tortoise, the marine iguana, and the blue-footed booby roam around freely without fear for humans. The islands were a big influence for the nature researcher Charles Darwin, who later published on the origin of species based upon his research on the Galapagos Islands animals. In 1959, 97 percent of the Galapagos islands were declared as National Park, and it later became recognized as UNESCO world heritage. Now it makes for a great holiday travel destination and famous for the wide range of island tours. Around 1000 kilometres off the Ecuadorian coast lies the Galapagos archipelago, a group of volcanic islands that were formed around 4 to 5 million years ago. It is generally accepted that they were mainly formed by accretion of lava as result of underwater volcanic eruptions. The islands are the tops of shield volcanoes and exist entirely of basalt. The islands in the south-east would have arisen first around 4 to 5 million year ago and while some of the older islands have disappeared below the sea, the islands Isabella and Fernandina are still being formed. These islands, located in the west are estimated to be created ‘’only’’ one million years ago. On Isla Isabela for example, it is possible to see relatively new lava flows which have created fascinating patterns. The Galapagos island group is today still considered one of world’s most active volcano groups. In the last 200 years over 60 eruptions have occurred, with the most recent being the eruption on Fernandina Island on September 4, 2017. The group exists of 13 large islands, 6 small islands and around 100 islets often not bigger than a couple of rocks. The Islands have a total 8010 square kilometres of land and with 4600 km2, Isla Isabela is the largest Island of the archipelago. Here also lies the highest point, Volcán Wolf with an altitude of 1707 meters. The crater of Sierra Negra, a volcano also located on Isla Isabela is famous due to its width of 10 km. Even though the Galapagos Islands are located on the equator, they do not have the same climate as other equatorial regions. 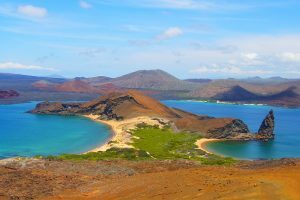 The Galapagos islands have two seasons: the ’warm’ or ‘wet’ season from January until the start of May and the ’cool’ and ‘dry’ season from May to December. The warm season has an average temperature of 28°C/82 °F. During the warm season, the days are sunny/hot, and the ocean is relatively warm and calm. The months March and April are generally the hottest and wettest. The cool season, with an average temperature of 18 °C/ 64 °F is also called the garua-season due to the mist and overcast skies during the day. This is caused by the cold Humboldt-current that comes from the south coast of Chili and cools the marine air. While the white sanded beaches may be cool during a sunny day, the black lava can reach temperatures near 50°C. Altitude also plays a role in the climate, as it can be cold and humid when higher up, while on lower situated areas it could be hot and dry. 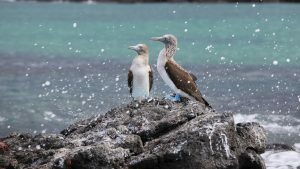 Every three to five years, or even as frequently as every two years, El Nino influences the climate of the Galapagos Islands. 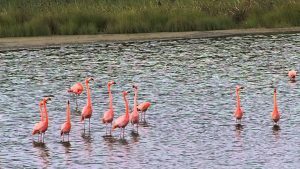 Unusually warm ocean temperatures, and increased rainfall effect the Galapagos islands as a whole since there is less nutrient-rich water and thus less food for the animals living on Galapagos and the water surrounding it. It is not known for certain who discovered the Galapagos Islands. However, most historians believe that the Galapagos islands were discovered by accident by Tomás de Berlanga back in 1535. He was a Spanish bishop, on his way to Peru his ship drove off to a group of Islands. When Tomás and his crew stranded, they were mesmerized by turtles so big a man couldn’t carry them and birds that were not afraid of human at all. 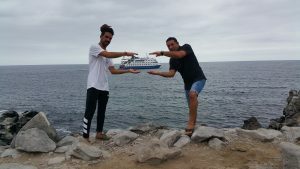 Tomás and his crew arrived and left the islands through a fog bank, thus giving the Islands the name ‘’las encantadas’’ or ‘’the enchanted’’ due to the magical atmosphere the Island had. The next two hundred years the Islands functioned as a hide-out for pirates. It was discovered that the Giant tortoise were able to live for over a year without water and food. This caused large numbers of tortoise to be captured and kept on ships during voyages, killing and eating them when in need of a meal. This process continued after whalers and sealers too discovered their function as food supply. In 1832, Colonel Ignacio Hernandez claimed the Galapagos islands in the name of the Ecuadorian government. He called the Islands ‘’Archipelago del Ecuador’’ and gave the islands Spanish names. In the years after the Islands served as a penal colony, the final colony did not close until 1958. When the United States became involved in the second world war, the Galapagos islands served as a base to protect the panama cannel. An Airfield was built on Isla Baltra, which received the first passenger flights in the sixties. This caused the population and number of tourists to increase rapidly. In 1959, 1000 to 2000 people claimed to live on the islands. As of 2012, there are 26.640 people living on the Islands. The Airfield became the worlds first ecological airport in the world, the Aeropuerto Seymour (Aeropuerto Ecológico de Galapagos) only utilizes sun and wind energy. Every island of the Galapagos Archipelago is unique. Many islands are not more than a desert, while other islands are mountainous and fully overgrown. The flat islands are the driest, because clouds can move over them without interference while islands with higher elevation cause clouds to move up and create mist or rain showers. In the Galapagos islands there are six vegetation zones that one can distinguish, ranging from the coast to the highlands. In the coastal areas there grow plants that can live well given the high levels of salt, such as mangrove plants, saltbush, myrtle and small water plants. Hereafter comes the arid or dry zone, which is recognized by thorny plants with small flowers. Moving further inland, there are leftover plants and small bushes. The higher humid area (between 200 and 500 metres above sea level) is called the Scalesia-zone, named after the tree that is most prevalent here. The trees are often overgrown with types of orchids, bromeliads or ferns. Other plants in this area are mushrooms and guava passionflower. When you get above 500 meters, you will reach the Miconia-zone at the populated area this is the place for agriculture and cattle breeding. Here coffee, oranges, pineapples and other crops are farmed. In the highest zone, there are mainly grasses and ferns, some of which can grow to over 3 meters high. Today there are over 1400 plant species registered on the Galapagos Islands, of which around 30% is native and not found anywhere else on the world. The animal living on the Galapagos Islands are truly unique, in a sense that 97% of the reptiles and land mammals and about 80% of the land birds cannot be found anywhere else. Because the islands have been isolated (the nearest land is at a distance of 1000 km away) the islands were hard to reach for animals. Due to the intense sunlight, saltwater and lack of food, reptiles were more likely to survive on the Islands. Sea birds and marine animals such as sea turtles probably arrived at the Island at their own, while other animals must have reached the islands by accident. The Galapagos islands have a wide range of species, due to the different zones. The Galapagos Islands thank their fame partially to Charles Darwin. The English nature researcher arrived in 1835 at the Islands. No other place in the worlds had as much influence on his work as the Galapagos Archipelago. Charles Darwin was the first to notice how every specie that made the voyage over the ocean, adapted over time in order to be able to survive on this Galapagos Islands. Darwin was in particularly struck by the differences between the inhabitants of the different islands. The most famous example of this is are the Finches, that later became named after him. The Darwin Finches exist of 13 subspecies that presumably descend from one original specimen. Every specimen has its own characteristics based on their living environment. Some species have long thin beaks to catch insects, while others have found with thick and short beaks, to crush seeds for example. Many years after his visit to the Galapagos Islands, Charles Darwin suggested that this was the result of natural selection. Some animals had deviations that made them more likely to survive. These deviating traits were passed on for generations and new species originated this way. 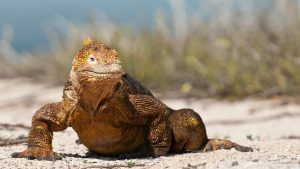 Darwin also called the Galapagos Islands a paradise for reptiles, as animals like the marine iguana presumably evolved from an on-land living reptile specie that went extinct millions of years ago. They adapted to the sea by becoming able to eat sea-weed. To get to their food, marine iguanas often must dive over 12 meters deep. Darwin wrote about his findings in his ‘on the origin of species’. His work received a lot of critique since he suggested that the animal kingdom was not directly the result of God, but that the animals transformed on their own. In 1959 the Charles Darwin research station was founded, to continue scientific research and promote environmental education. 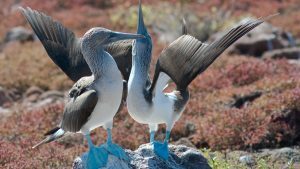 Whether you are travelling Solo or in a group, there are multiple ways to discover the Galapagos Islands, one of which is by taking a cruise ship. 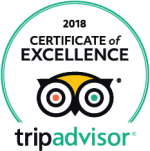 In the cities (Quito/Guayaquil) or online a variety of tours can be found, ranging from big cruise ships to smaller, more intimate boats. It is also possible to find a captain and arrange a cruise at the islands themselves, however this is may require more time and effort. The boats may only dock at one of the 56 locations that are opened for visitors. Even then you are only allowed to walk around with the presence of a guide. For some vulnerable places there are more restrictions, by for example limiting the number of visitors per month. This is al on behalf of the sustainability of the island and its natural inhabitants. point and there is the opportunity to see different sub-species of the giant tortoise, and to take pictures with them. 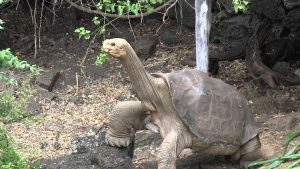 You might even get the chance to see the famous Lonesome George. From Puerto Ayora it is possible to make beautiful hikes over the white sanded beaches of Bahía Tortuga, it is possible to swim and walk here without guide. The higher elevated areas of Santa Cruz offer spectacular views of lava flows and while hiking toward the top you will walk through the multiple vegetations zones, experiencing the changing landscape. Read about Madlen and Lars’s experience on Santa Cruz. San Cristobal is the easternmost island in the Galapagos archipelago, and one of the oldest geologically. It bears the name of the Patron Saint of seafarers, ‘St. Christopher’. Its English name was given after William Pitt, 1st Earl of Chatham. It has an area of 558 square kilometres (215 square miles) and its highest point rises to 730 metres (2,395 feet). 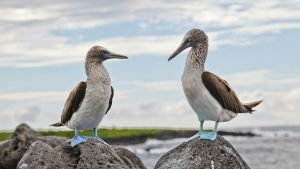 This island is home to frigate birds, Galapagos sea lions, giant tortoises, giant sea turtles, blue footed booby birds and red footed booby birds, tropicbirds, marine iguanas, dolphins and swallow-tailed gulls. In the waters nearby are sharks, rays, and lobsters. The largest fresh water lake in the archipelago, Laguna El Junco, is located in the highlands of San Cristobal in the southern half of the island. The lake harbours a large population of birdlife, but reaching the lake requires a short uphill walk. Nearby, La Galapaguera is a breeding station and sanctuary for giant tortoises. Isabela is the largest island in the Galapagos, occupying a territory that’s greater in size than all of the other islands combined. The island was formed approximately 1 million years ago by the merger of 6 volcanoes – Alcedo, Cerro Azul, Darwin, Ecuador, Sierra Negra, and Wolf, the majority of them are still active. This makes Isabela one of the most volcanically active places on earth. The tranquil appearance of the island belies an incredible array of activities to choose from. The area surrounding the town has been rustically cultivated with hiking trails that allow visitors to explore many natural attractions independently. North of Santa Cruz lies a very small island that is mostly so full of sea lions that it is often encouraged to scream and clap so that the sea lions make space to dock the boat. Single males use this island as a recover place, after losing a heavy fight over territory. It is not advised to swim here, as the males are known to be aggressive. The island has exceptionally many animals, among others the Galapagos Hawk can often be spotted here. Santa Fe Island (Spanish: Isla Santa Fe), also called Barrington Island after admiral Samuel Barrington, is a small island of 24 square kilometres which lies in the center of the Galápagos archipelago, to the south east of Santa Cruz Island Geologically it is one of the oldest, since volcanic rocks of about 4 million years old have been found. The vegetation of the island is characterized by brush, palo santo trees and stands of a large variety of the prickly pear cactus Opuntia echios. 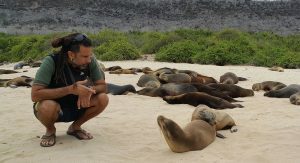 Though easily accessible to most visitors to the Galápagos, the national park service has highly restricted visits to this island, and it is primarily used for scientific research. An intensive study of Darwin’s finches was conducted here by biologists Peter and Rosemary Grant over a period of 20 years. Perhaps the most photographed island of the archipelago, Isla Bartolomé is only 1.2 square kilometres, but offers beautiful sights of the volcanic landscape with colours ranging from red and orange to green. The underwater world is very impressive and if you like to snorkel you will love this little Island. Galapagos penguins are also frequently seen here, as well as green turtles when it is mating season. What to take for a trip to the Galapagos Islands? It is often recommended to pack light, however with the different temperatures and activities on the islands this may be a hard task. To help you get prepared for your trip to the Galapagos Islands, we created this packing list and set of tips, so you can start packing right away. Since most trips or cruises are 5-8 days and the weather is often pleasant, summer clothes will be the main go-to. Below you can find a list of what to bring, just to give you an idea. Socks and underpants: bring the same number of pairs as the days you will stay unless you are planning to wash.
T-shirts: you will most likely mainly wear t-shirts, so it might be a good idea to pack 5-7 t-shirts unless you decide to wash them, in which case bringing 2 or 3 may be sufficient. Shorts: bring two pair of comfortable shorts. Long pants (preferably lightweight): Optionally pick a pair of zip-off pants so that you can adjust your clothes according to the weather/circumstances. Jeans: It is always nice to have a pair of jeans for when eating out for instance. Sweater and a fleece jacket: bring a sweater and fleece jacket for when travelling to higher altitudes or at night when it cools off, you won’t regret it! Rain jacket or poncho: Bring a lightweight poncho or rain jacket. Swim wear: bring one pair. Footwear: take one pair of firm walking shoes, as the terrain often can be rough, and you may need the grip normal sneakers do not offer. A pair of sandals also can come in handy, as not every boat allows you to wear walking shoes on it. These sandals also dry quickly, when getting off the boat you will not always stay dry. A hat: to protect your head from the burning sun. A travel towel: A microfiber travel tower takes up almost no space, and dries very quickly. Depending on where you plan to stay, some personal care items like soap and shampoo may be left at home as they will often be offered by hotels and cruises. First aid kit: Hope you will not need it, but better safe than sorry! Sunscreen: you will have around twelve hours of sun per day, and sunscreen is very expensive at the islands itself. Telephoto lens: to capture animals from up close. GoPro/underwater camera: to not only capture the beauty on land, but also underwater. Extra memory cards: as you will take lots of pictures, your memory card will be filled with photos within no time. Adapter plugs: depending on where you are from, it may be required to take an adapter plug with voltage converter, as Ecuador uses 120-volt outlets. Phone charger: You probably will not use your phone to make calls or WhatsApp on the islands as you will be 1000 km from coast and will not have a good connection but it’s nice to keep it charged so you can take pictures or use it as a flashlight. Passport: Of course, required for flights and identification, bring it with you and store it in a safe place. Money: The currency used on the Galapagos islands are US Dollars. Bring sufficient money but do not bring $100 bills as they are generally not accepted. A lock: Most boats/hotels will have lockers or safes however bringing your own lock can come in handy often. Snorkel mask, flippers, and wetsuit: It’s not recommended to bring these as they will take up a lot of space, and can be hired on the islands with ease. Dry bag: As not all the landings off the boat will be dry, I would recommend storing your camera, other electronics, and important items in a dry bag to prevent them from becoming wet. This list will not be complete for everyone, as people often have specific things they want to bring or leave out. 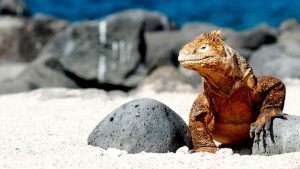 It can however be used as an inspiring guideline to give you some insight in what to bring to your first Galapagos trip. 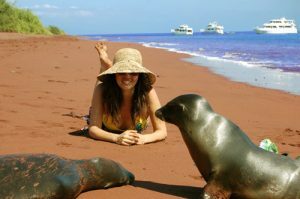 As all places and travel destinations, the Galapagos Islands have their own customs and values. As a tourist, it is very important to respect these values and customs. One of the most important values is the desire to protect the biodiversity of the Islands. The islands have gained their fame through the exotic creatures wandering on and around the islands. Non-native plants and animal species for example pose a threat to the conservation of the Galapagos Islands. By following the following rules set by the National park, you can help maintain the islands ecosystem. 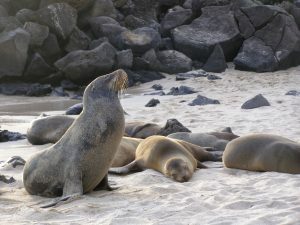 To prevent invasive species from entering the Islands the Charles Darwin Foundation helped create the Galapagos Inspection and Quarantine System (SICGAL). Upon entering the Galapagos islands, you will have to fill out a form truthfully as well as declare any agricultural products you have on you. You must hire a guide authorised by the National Park to accompany you on your visit to the islands. With hundreds of thousands of visitors, a year it is important that the Island remains in the same state as you found it, do not pick up rocks or touch animals or plants. Also, do not leave any trash where it does not belong (in the garbage can) Simply put: Take nothing but pictures, leave nothing but footprints. When taking pictures of animals, do not use flashes as they may disturb animals or in some cases even blind them. Do not feed animals, this may affect their health and habit. Do not touch animals, the animals living there are still wild animals and touching them can cause stress and be dangerous for them and yourself. Do not buy any souvenirs that are made of animals, plants, or rocks of the islands such as seashells, lava rock or coral. Do not smoke in the national park, cigarette buds or sparks may cause bushfires and are a serious risk to the vegetation and fauna. Fishing is only allowed on boats authorised by the Galapagos National park. The official language spoken at the Galapagos islands is Spanish. 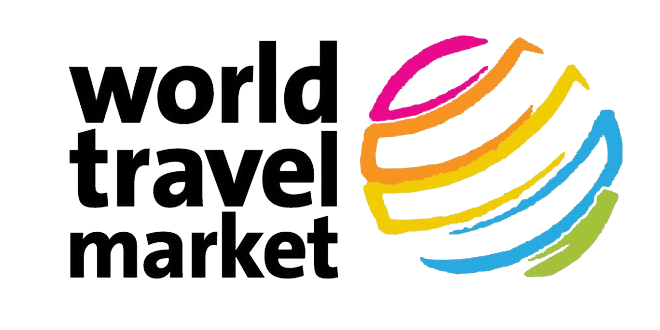 Nowadays however, since tourism has been growing over the years, languages like English, German and French are also spoken among guides and other people working in or related to the tourism industry. The Galapagos islands are a special place on earth, which offers unseen beauty and a vast amount of biodiversity that should be preserved. The islands rely on a low impact form of ecotourism, and this makes the UNESCO heritage site easy accessible to experience for yourself. please contact our Travel Experts and let´s plan together your next adventure.